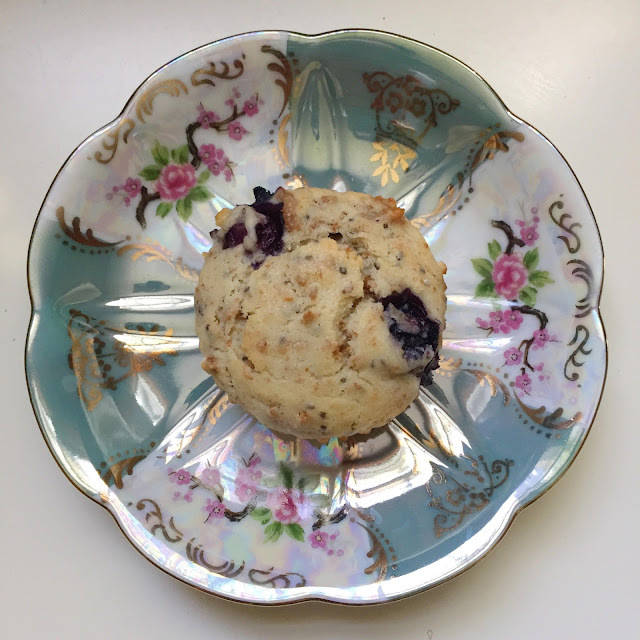 I know what you're thinking - chia seeds in bran muffins? Yes, you read that right because chia seeds are a great addition to baked goods for added fiber and nutrition. 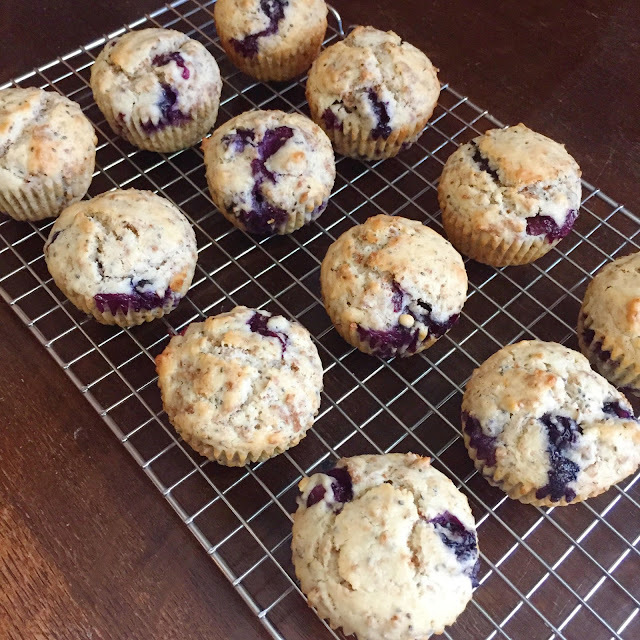 Add some fresh blueberries and these muffins are the perfect energy boost in the morning. Preheat oven to 375 degrees F. Soak the all-bran cereal in 1/2 a cup of buttermilk and set aside. Whisk the flour, baking powder, salt and chia seeds together in a medium sized bowl and set aside. In a large bowl, whisk together the vegetable oil, sugar, egg, all-bran cereal soaked in buttermilk and the remaining milk. Add the wet mixture to the dry ingredients and gently fold in the blueberries. 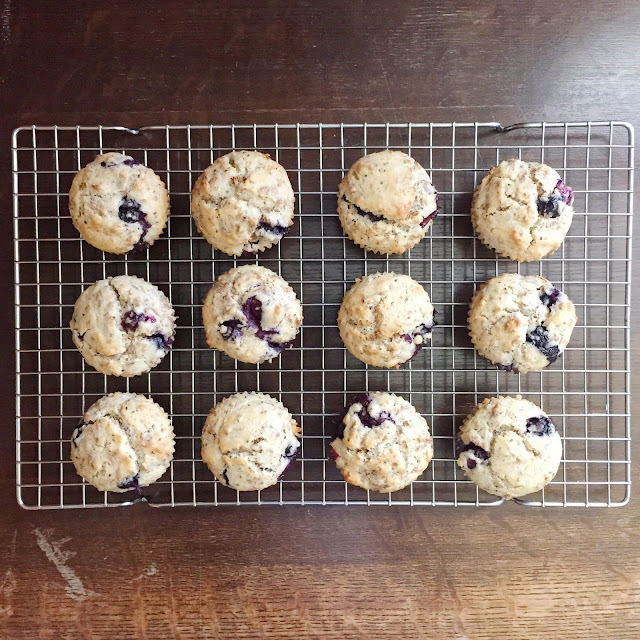 Fill the batter in a muffin pan lined with liners. Bake for 25 minutes or until a toothpick comes out with only a few crumbs attached.